Mental Health Awareness Week – Surviving or Thriving? I say population and not just customers or residents as it has been said that living near a library and, indeed, just walking past a library has a positive effect on one’s emotional and mental well-being. Of course we in libraries are keen to invite people to come through the doors and experience the well-being benefits first hand. The theme of this year’s Mental Health Awareness Week is ‘Surviving or Thriving’ which encourages us to look at our physical and mental well-being. Some of our offers are more obviously health focused, our health information displays encourage us to feed our brains with the right food and suggest ways to be more active, as well as giving information on managing and living well with chronic conditions. Poor physical health can be a drain on our mental and emotional strength and poor mental health can lead to inactivity, poor diet and so the cycle continues. One way to break cycles of unhelpful thoughts and behaviours is cognitive behavioural therapy and Westminster has a free psychological therapy service, Westminster Talking Therapies. In order to help people decide whether this service is for them or for support while waiting for a referral, or during, or after therapy, the libraries’ Reading Well Books on Prescription collections are recommended by GPs and health promotion specialists. A new collection put together to support those living with chronic conditions will be launched in July this year. The Reading Well Books on Prescription initiative is part of our Bibliotherapy offer. Our libraries host read aloud groups in partnership with The Reader Organisation. These facilitator led ‘Share a book’ groups meet every week and give members the opportunity to join in reading aloud from good literature and discuss what has been read over a cup of tea or coffee or just sit back, listen and enjoy the company. It is encouraging to look at how we in libraries contribute to what is called ‘the wider determinants of health’ All the things in our lives that support us, family, work, employment, housing, finances, education, lifelong learning, English classes, coffee mornings, knitting groups, activities for children and teenagers, employment advice, business information points for entrepreneurs old and young, all these available in libraries. Libraries have always been inspirational and aspirational encouraging us to ask for more learning and knowledge and skills to create meaningful lives for ourselves and our families. There are also some very good enjoyable fiction books available free to borrow hard copy or online! See our new book displays or log on to the 24/7 library. Did you know that reading for as little as six minutes can improve mental well-being? See what you can do this Mental Health Awareness week to look after your own mental well-being, eat well, sleep well, go for a walk in one of our gorgeous parks and yes, visit your local library. Westminster Libraries is changing. Readers will be pleased to know that no libraries are closing and opening hours are not being slashed as has happened in some other parts of London and elsewhere in the country. But from April you may see fewer and different staff in your local library as a number of staff are leaving, retiring or switching libraries. Of course libraries need to change and evolve, just like any other organisation, if they are to remain relevant to people’s changing needs and to embrace technological changes. As one of those staff who is retiring after some 40 years, I invite you to look back at some of the key changes in Westminster Libraries over that period. When I started in the 1970s there were no computers in libraries. Most libraries issued books using the Browne system. Books had a pocket holding a card which gave the book’s number and author/title details. Readers were given a number of pocket tickets with their name and address details. They tendered one of these for each book borrowed and the book’s card was placed in the pocket ticket and then filed in a rack before (or behind) a date due marker. On returning a book, the racks would be searched for the matching card and the ticket returned. Returns and renewals could only be done at the library where the books were borrowed. Readers with overdue books would receive posted reminders. However in Westminster, the libraries were so busy, especially at lunchtimes, that the Browne system was too slow to cope. Instead readers were given plastic tokens which they handed over for all but the most expensive books. There was no record of who had out what books, so no overdue letters could be sent, but once a year each reader was written to and they had to produce all their tokens or pay a forfeit. This system was to last until a computerised management system was introduced from 1984. The library catalogue was a large set of drawers in which were inserted 5 inch by 3 inch cards for each book – one filed by author, and one by title or class number. The catalogue would only show books at that library, and would not show whether the book was in stock or on loan. When new books were added or old books withdrawn the cards had to be manually filed or removed. 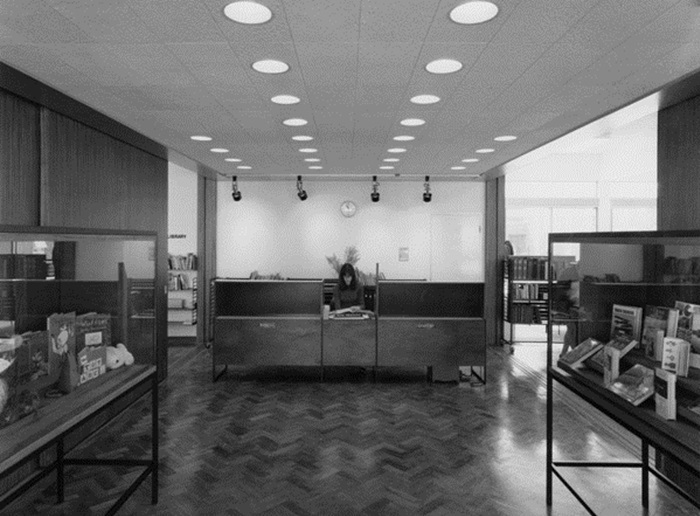 By the 1970s new technology saw the introduction of a system-wide catalogue on microform, but it still could not show whether the books were in the library or on loan. This again had to wait for computer technology. New books were selected from ‘approval collection’s or by visiting suppliers’ showrooms. Once supplied they all had to be catalogued, processed and jacketed so it might take weeks before they reached the shelves. Non-fiction books had their class numbers embossed on the spine in gold leaf. As well as books, readers could borrow gramophone records, although there were strict rules about their care. The records themselves were not on the shelves. Instead there were display racks of the cards from which borrowers made their choice and then exchanged the card for the recording – supplied in a carrying case. Reference libraries had shelves upon shelves of atlases, dictionaries, directories, encyclopaedias and so on, often out of date even before being published. Some directories even came in loose-leaf binders so that update replacement pages could be supplied. There were no public computers, no Internet, no wi-fi , no DVDs… since none of these had yet been invented. Computer technology has completely transformed all of this, as it has life and work elsewhere. Readers can issue and return their loans (at any of our libraries) through self-issue terminals without queuing at the counter. They can renew online at any time and keep a historical record of what they have borrowed. The catalogue can be searched online and reservations placed from home. E-mail notification lets you know when items are due back or reservations are available. 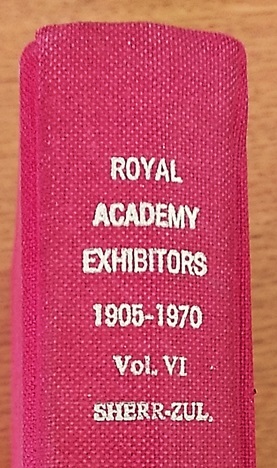 New stock will appear on the catalogue when ordered in advance of publication and will be received, ready for loan, within days of publication. Those groaning shelves of reference books have mostly gone now, replaced by public computers to use and study space with free wi-fi access. But don’t think that there is any less information available. Far from it. With the 24/7 library your library card gives you access to a wealth of information for free on our subscription databases. Business information, the arts, family history and worldwide newspapers are among the resources available – much of it accessible from anywhere online and – as the name suggests – available 24/7, not just when the library is open. E-books, e-audiobooks and e-magazines are also available online. The library service has not just changed as a result of technology though. The present City of Westminster had only been formed in 1965 under the Local Government Act 1963. It was a merger of the City of Westminster and the Boroughs of St Marylebone and Paddington each of which had had their own library service. So there was some duplication of services which have been rationalised since. 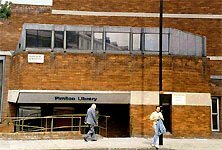 1974 Pimlico Library opens in Rampayne Street. opposite the tube station. The station itself had opened in 1972, a year after the Victoria Line had been extended to Brixton. 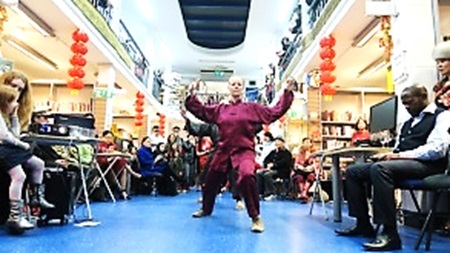 1984 Charing Cross Library starts its specialised service to the Chinese community with the appointment of a Chinese librarian. 1987 Paddington Library basement opened up as part of the public area, allowing the integration of all the reference stock and the reading room which had previously been housed in two separate buildings. 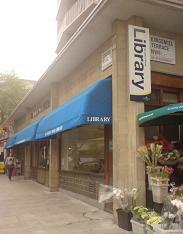 1987 Charing Cross Library is the first Westminster library to lend videos. 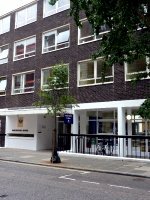 1995 Westminster City Archives building opened by HRH Duke of Gloucester on 2 March 1995, bringing together the archives & local studies collections from old City of Westminster, St Marylebone and Paddington boroughs for the first time. 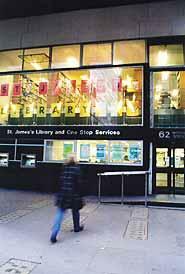 1997 Great Smith Street Library replaced by St James’s Library in Victoria Street, next to City Hall. 1998 The Open Learning Centre at Queen’s Park opened on 1st June 1998. It became the Learning Centre in September 2009. 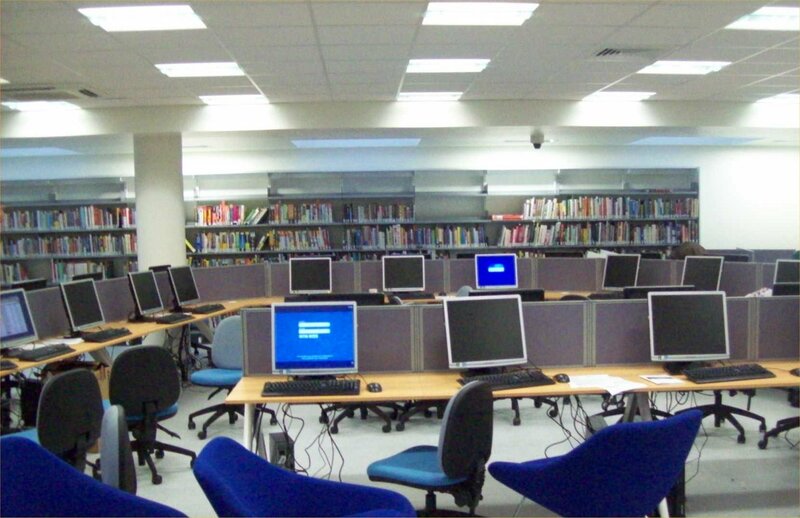 2000 The Government launches The People’s Network programme to link every public library in the UK to the Internet. 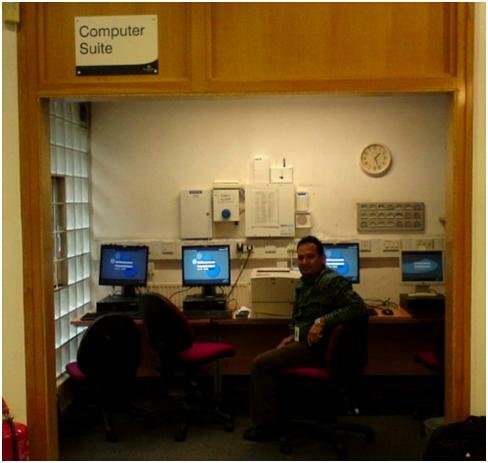 Public access computers were installed and staff trained through the European Computer Driving Licence (ECDL). 2007 Marylebone Library moved into the Council House next door. 2008 St John’s Wood Library expanded, with the basement being opened up to public use. 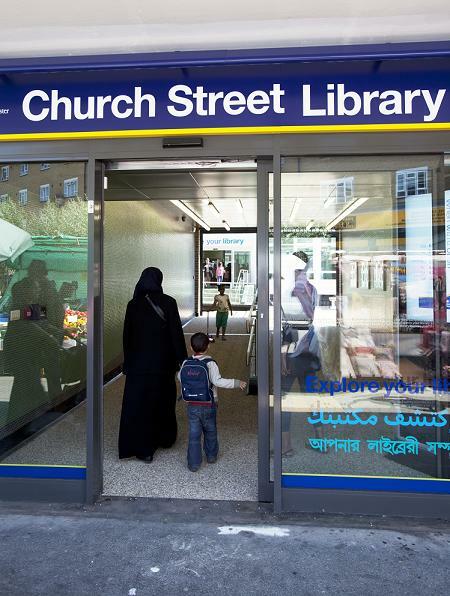 2010 New enlarged Church Street Library opens, with a teenage zone and learning centre. 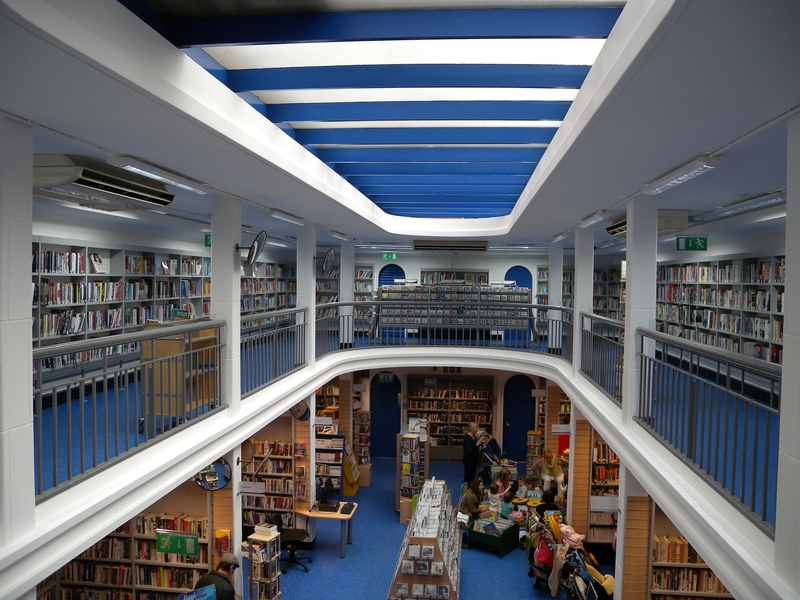 The library had operated from a former butchers shop nearby for 2 years while the building work took place, financed by £1.1m lottery money. 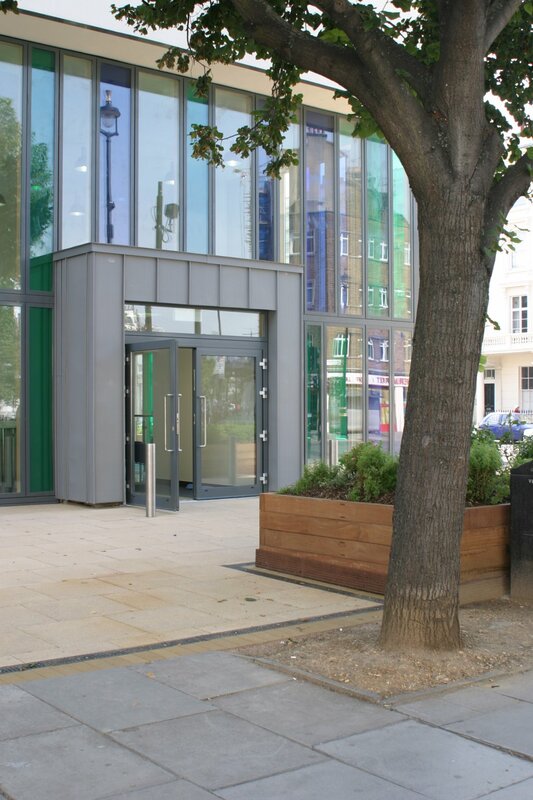 2010 New Pimlico Library opens in Lupus Street, joint with Pimlico Academy and Adult Education Centre. This replaced the original Pimlico Library. 2011 St James’s Library closed and a new ‘Express Library‘ opens in the vestibule of the Archives Centre. 2012 Westminster, Kensington and Chelsea and Hammersmith & Fulham libraries come under a common Triborough management arrangement. 2013 New single library management system for Westminster, Kensington and Chelsea and Hammersmith & Fulham libraries with a combined catalogue, offering access to all three boroughs stock to all members. 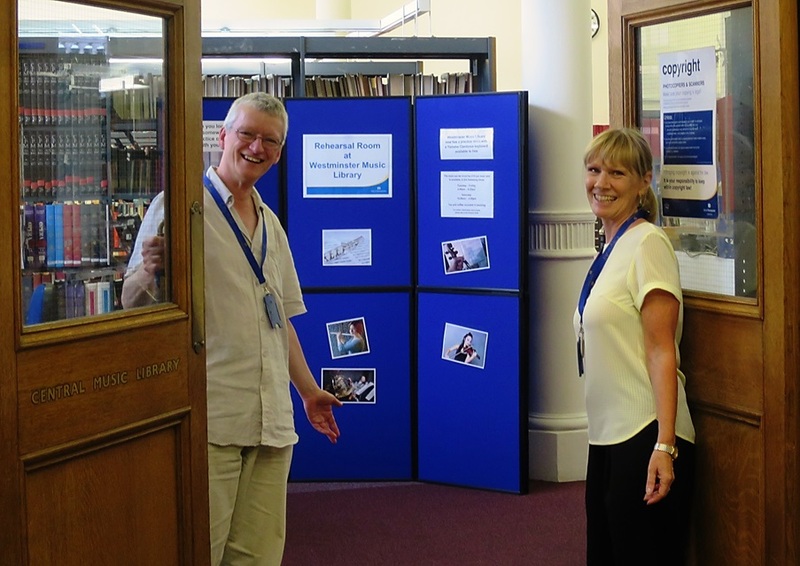 2013 Marylebone Library moved to temporary premises in Beaumont Street after the Town Hall was sold to the London Business School. Of course it hasn’t all been expansion. Over the years we have also had to reduce, rationalise or say goodbye to some areas of service. Sheet Music has been concentrated at Westminster Music Library, where staff have the specialist knowledge to serve the music community. 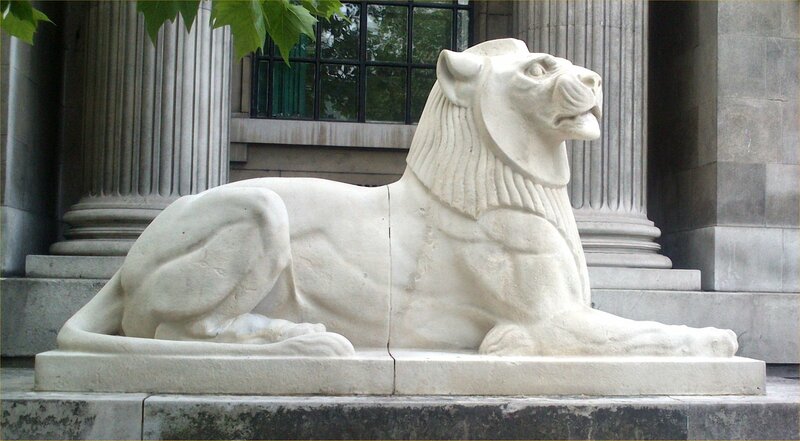 The closure of the medical library at Marylebone was seen as a casualty at the time, although digital access to medical information is now available through the 24/7 Library. A mobile library was introduced and operated for a few years but was not replaced when due for renewal. There have also been proposals and ideas that never got off the ground. Among these were plans in the early 1980s to close Maida Vale and Queens Park libraries and replace them with a single library in Harrow Road at the former Paddington Town Hall. Another proposal was to move Paddington Library to a floor above the Whiteleys shopping centre in Queensway. Library book borrowing may be in decline nationally, but our users come to the library for far more than books. They may come to study, to use the computers for a variety of purposes – social media, on-line purchases, job-hunting etc. They may come for reading or writing groups, author talks, computing or English classes, careers advice sessions, and a range of health promotions. In some libraries they can now collect goods ordered online at Amazon lockers. There may be children’s under 5s sessions, homework clubs, holiday reading clubs and craft events. 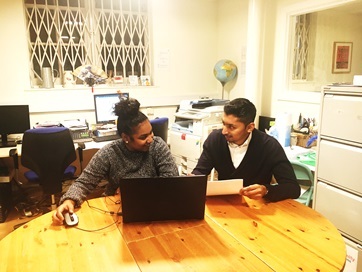 Libraries provide work experience training for secondary school children. Adults can feed back into the community by volunteering in our libraries. People have predicted the end of libraries in our present digital, connected world. Well they may have changed in ways unimaginable even a generation ago but they are still a thriving, valued part of the community. Who knows what changes another generation will bring, but I expect there will still be something people call a ‘library’. It may even still contain books – the death of the printed word has been predicted but it seems to be still going strong at present. And there to help them will be someone they will refer to as a ‘librarian’ whatever their official job title may be, or indeed whether they are employed staff or a volunteer. This is a little guide to the parish registers of baptisms, marriages and burials held at City of Westminster Archives Centre. On our website under “Researching your family history at the Archives Centre” you can find a list of our Information Sheets and other useful information. Marriage entry for Percy Busshe Shelly, 24 March 1814, from St George, Hanover Square, volume 23, showing an example of a marriage entry before introduction of civil registration. Image property of Westminster City Archives. Marriage entry for Theodore Roosevelt, 2 December 1886, St George, Hanover Square, volume 85 (after civil registration). Image property of Westminster City Archives. Title page of our earliest register for St Clement Danes 1558, volume 1. Image property of Westminster City Archives. Baptism entry for Robert Cicil (Robert Cecil, Statesman), 6 June 1563. Image property of Westminster City Archives. 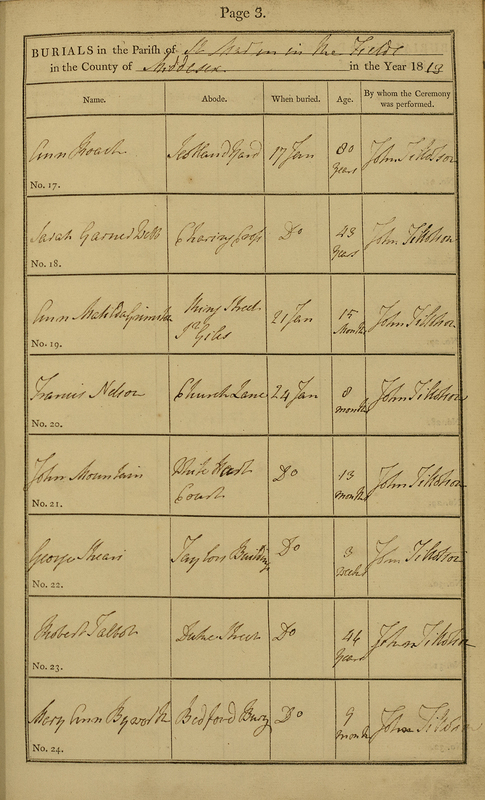 An example of a baptism entry page from St James, Piccadilly, showing the printed paper registers used after 1813. Image property of Westminster City Archives. Burial entry for Elinor Gwin (Nell Gwyn), St Martin in the Fields, 17 November 1687, volume 17. Image property of Westminster City Archives. An example of a burial entry page after Rose’s act of 1813 from St Martin in the Fields. Image property of Westminster City Archives. Information Sheet 1 lists the registers we have for Anglican Churches in Westminster. Most of these are available to view on microfilm (for reasons of conservation) in our Searchroom, but they have also been digitised and are available to search and view online on the Findmypast website. Registers for the Anglican churches in Marylebone and Paddington are available to view on microfilm copies here and on the Ancestry website because the original registers for these are at the London Metropolitan Archives. 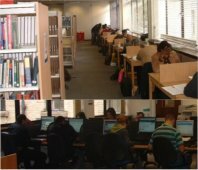 Both Findmypast and Ancestry are available on the public computers in all Westminster libraries and on Wifi to users in libraries with laptops. More detailed indexes to our holdings can be found in the Archives Searchroom. The earliest registers date back to Henry VIII and the establishing of the Church of England. 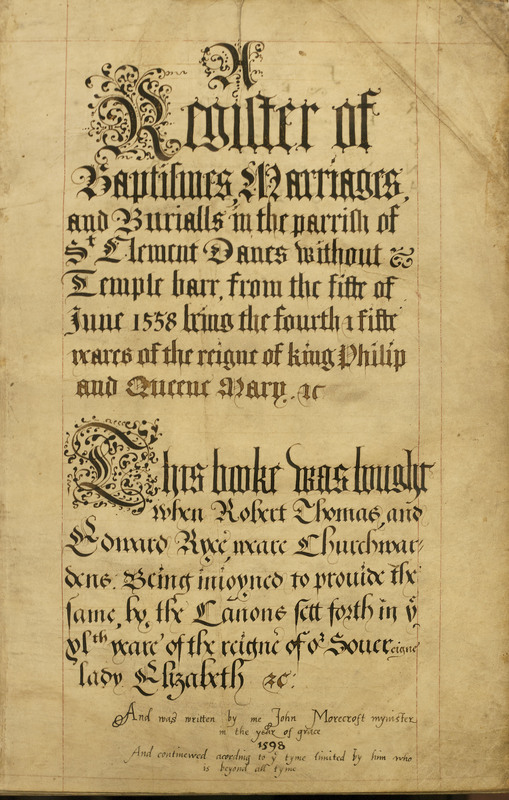 Thomas Cromwell issued an order to every parson, vicar or curate to register every wedding, christening and burial within their parish in 1538. 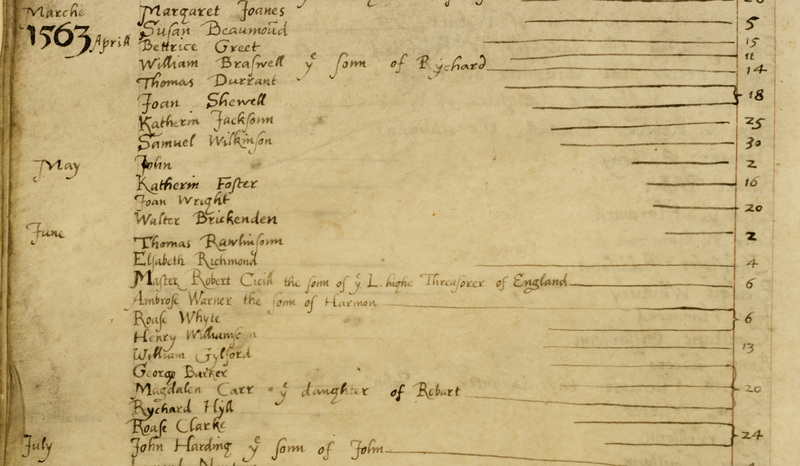 The oldest registers for Westminster are for St Margaret, Westminster starting from 1539 followed by St Martin in the Fields 1551 and St Clement Danes and St Mary le Strand in 1558. In 1597 paper registers were found to be deteriorating. An order was issued for them to be on parchment or vellum. Old register were to be copied from at least 1558. There was also an order for a second copy to be made and sent to diocese and these are known as the Bishop’s Transcripts. This was to prevent the temptation of later tampering of the registers. You can find these copies for Westminster registers on the Ancestry website taken from the copies sent to the Bishop of London. The years 1642 – 1653 are sometimes known as the civil war gaps due to the upheaval of the monarchy. From 1653 a civil register was introduced which reverted back to the clergy when the monarchy was reintroduced in 1660. Another important date to point out is 1752 when the calendar changed. Before this date the year started on Lady’s Day, 25 March. The Hardwicke Act for marriages was introduced from 1754. Marriages had to be registered in a separate register to baptisms and burials, before this one register could contain all three. It was also expected to eliminate clandestine and irregular ceremonies; only Jews and Quakers were exempt. All others including Catholic were supposed to take place in licenced Anglican churches and printed paper registers were introduced. You could marry by Banns or Licence and needed the marks or signatures of two witnesses. 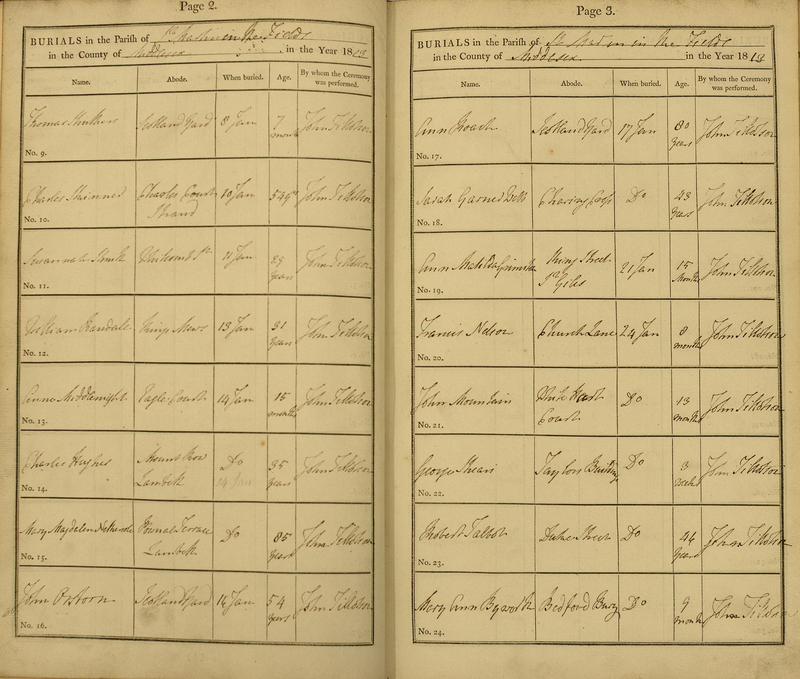 Rose’s Act was passed in 1812 and introduced printed standardised registers for baptisms and burials. From 1 July 1837 the civil registration for births, marriages and death starts in England and Wales. Parish registers still continues. 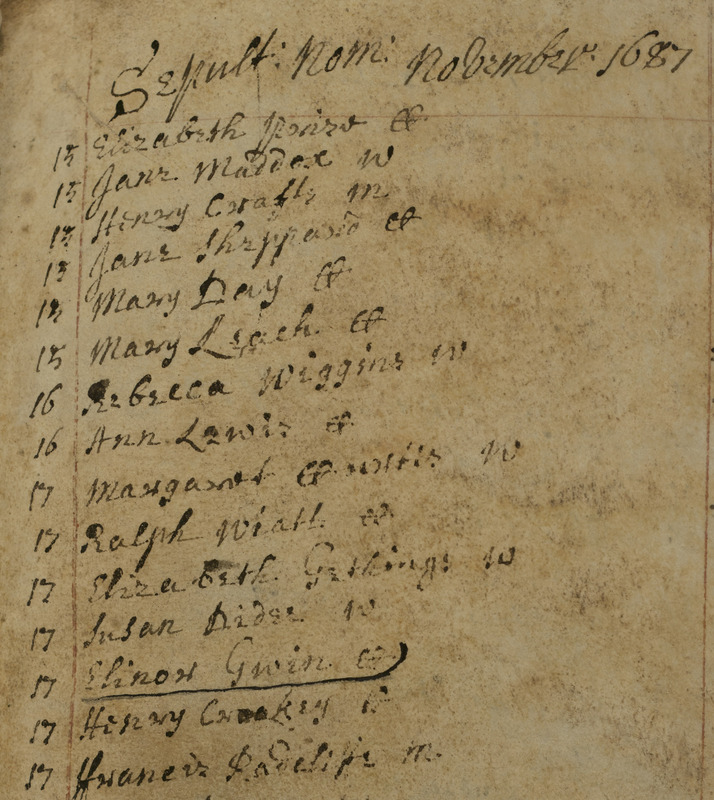 The marriage entry in the parish register does correspond to the same format as the General Register Office certificate, but the parish register will have the original signatures of the groom, bride and witnesses, if they could write their own names. Recently I found this engraving in a junk shop. The print was crudely held in place with a sheet of cardboard and peeling masking tape. The frame was immediately recycled, the backing replaced with acid free mount board. However I must thank the anonymous framer for their work in keeping the print in its frame but also more importantly for scrawling in ballpoint ink biographical and geographical information about this print titled ‘A view from the artist’s studio’. 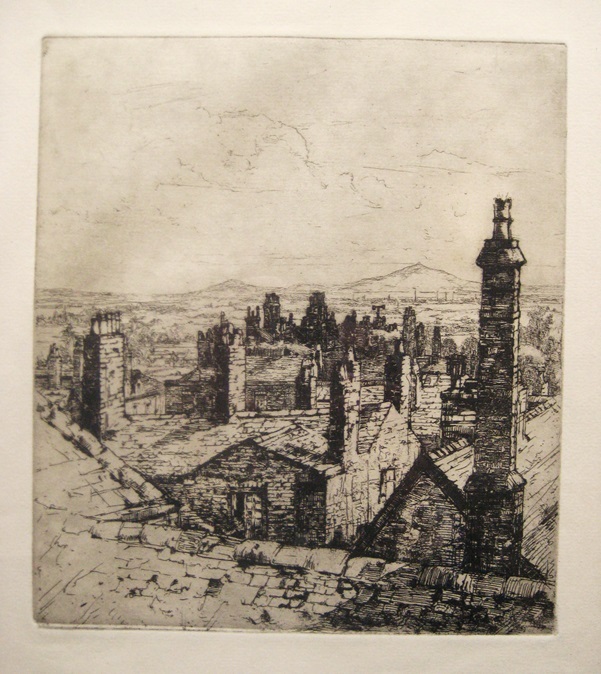 The writer also stated that the artist – Jessie Beswick – was a sister of their grandfather. Without this information this would have simply been a pleasing anonymous town view from a window. Not so useful was the difficult handwriting which made interpretation difficult. Luckily from this text there was no ambiguity in interpreting the picture’s location, King Street Chester. What were more problematical to read were the artist’s maiden and married surnames which meant using possible name variations in any search for this artist! With no stated date on the print it was not a just a case of Googling a name and finding her. Even if I was confident with the surname spelling of Beswick I found a number of alternative individuals with this name. I suspected that ‘my’ artist was active before 1945, on the basis that the writer was two generations younger than the artist and had written the information relatively recently – ballpoint pens did not come into mass use until the late 1950s. Another fact which proved to be a red herring in an initial search for her in Chester Street directories (located in the City of London’s Guildhall Library) was to assume that the King Street studio was her residence. In fact it turned out from census and other evidence that Jessie Beswick resided at other addresses in Chester. It was time to bite the bullet and use Westminster’s ‘In House’ online resources for family history, Ancestry and Find My Past. Having two surnames to deal with, I first checked marriage records using Find My Past. Success: after several false hits I found the marriage of Jessie Beswick to Walter W White (Walmsley-White) in Chester in 1914. The record usefully included her parents’ names and her age, thus narrowing down by date any census searches for further information. The 1901 census found her, aged 15, residing at her parents’ house. The 1911 census entry usefully reminded me that the census is a record of household occupation on a specific night which is not necessarily the home address. A Jessie Beswick was staying with friends in Lancashire but I am convinced that this is the same person as her occupation is listed as an artist and the birth year and place of birth matches the previous census entry. I have mentioned my problem of reading original handwriting. Transcribed entries from the census enumerator returns can also provide evidence of transcription errors. 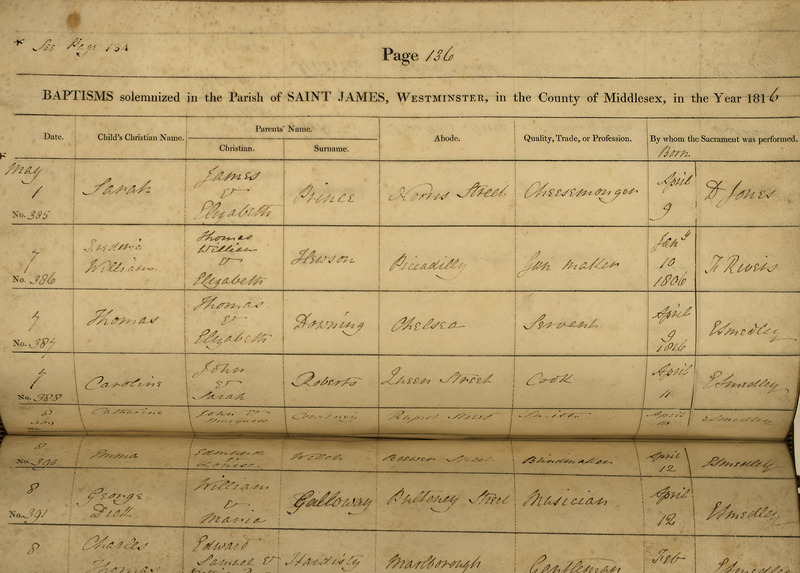 Jessie’s name had been transcribed as ‘Lessie’ in Ancestry’s 1891 census entry for the Beswick household. “strengthened by the contributions of some new members, and a new feature is collection of etchings by … Jessie Beswick (Mrs. Walmsley White), the latter lady being also represented in the oils section by two excellent studies of Brittany”. Confirmation of the move was found when I used print resources at Westminster Reference Library’s Art & Design Collection. Post 1914 entries all list Jessie Walmsley White with a Devon address and prior to marriage her maiden name together with a Chester address. With this information it is reasonable to date this print between 1900 and 1914. This dictionary revealed that she had paintings exhibited in three separate exhibitions. Unfortunately the dictionary does not include illustrations but listed the botanical subjects of these works. 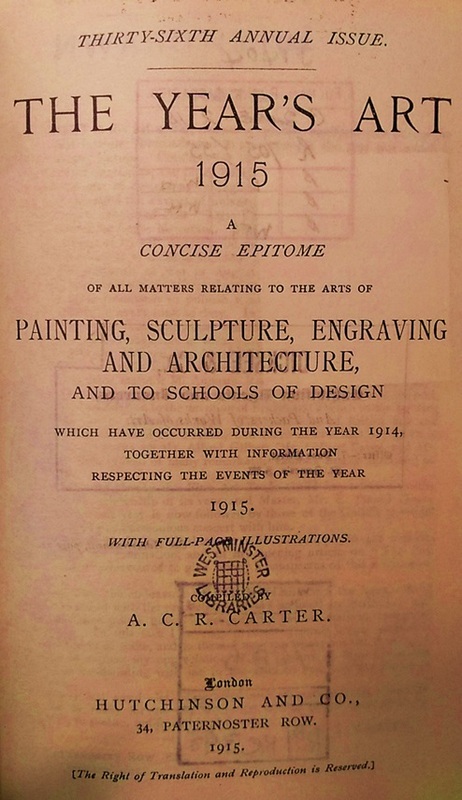 On a previous visit to Westminster Reference Library I had noticed a long run of annual directories: The Year’s Art: a concise epitome of all matters relating to the arts of painting, sculpture, engraving and architecture. At that point I had not discovered her birth date and confirmation of her surnames, so I hadn’t plunged in with a systematic search of these volumes. Now, armed with this information, I returned to consult this series. Her first entry occurs in the 1909 edition. Usefully, an artist’s entry includes their home address together with the location of any exhibited work in public galleries. Her address details from the 1915 edition confirm the permanent move to Devon. Find My Past was also used to find her death record. Luckily my assumption that she had remained in Devon was correct and I found her death record. Jessie died in 1961 aged 75. Having tracked down this artist my next quest is to find further examples of her work, either in a gallery or improbably lurking in another junk shop. We live in a time of international terrorism. London is seen as a prime target and is on high alert for such an attack. There have been attacks and bombings in London before of course, especially during the IRA ‘Troubles’. But it was one hundred years ago on Friday 19 January 1917 when occurred London’s largest ever loss of life through explosion. However, this was not due to enemy action, even though it took place during a World War – it was home grown and totally avoidable. One of the main industries in Silvertown at the time was the Brunner Mond chemical factory, which produced soda crystals and caustic soda. However the caustic soda plant had been closed down in 1912 and was standing idle. In 1915, this was “practically requisitioned” by the Government agency, the Explosives Supply Department who wanted to use it to purify the explosive trinitrotoluene (TNT) for use in ammunition. This was despite the fact that the plant was located in a heavily populated area, which also had other volatile chemical and refining industries, a point stressed by the Brunner Mond directors who were opposed to the plans. The government thought that the production of TNT was safe as long as the purification process (to be undertaken here) was kept separate from the manufacture of raw TNT. Consequently the processes did not have to comply with the regulations of the 1875 Explosives Act. Production started in September 1915 on a 24-hour basis, employing three shifts. The protracted battles of trench warfare were consuming vast quantities of ammunition (and lives), while making little tactical advance. 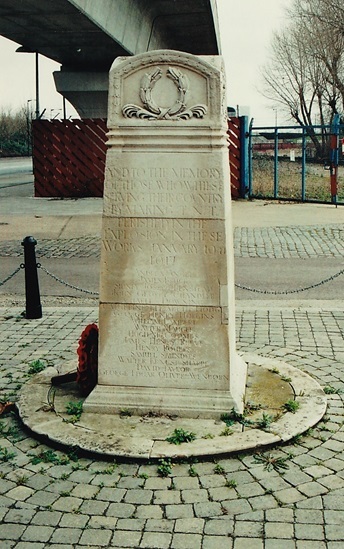 The memorial to the Silvertown explosion. This is located below the Docklands Light Railway near Pontoon Dock station. In particular he reported that there were no precautions in place against friction sparks. The explosion was so severe that it destroyed the factory, other local factories, the local fire station (which was opposite the factory and had only opened in 1914) and damaged thousands of homes. The explosion could be heard 100 miles away. Sixty-nine people were killed in the explosion with four more subsequently dying from their injuries. Another ninety-eight people were seriously injured and more than nine hundred suffered minor injuries. 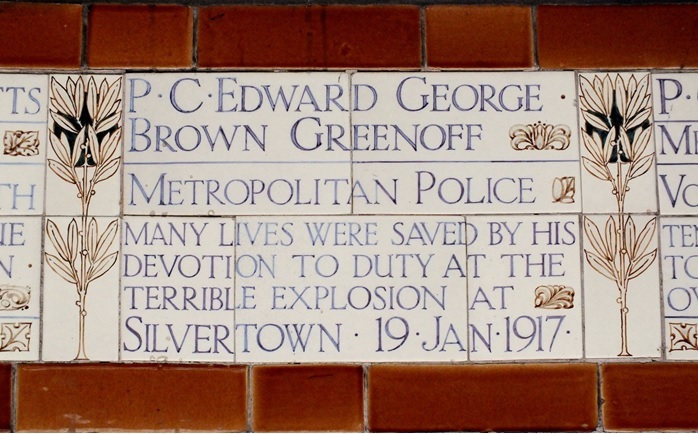 A plaque in Postman’s Park in the City of London commemorates a policeman who was on duty outside the factory when the fire broke out. He stayed at his post to warn people of the dangers of explosion, but later lost his life in hospital from the injuries he received. The loss of life in the Silvertown disaster would be treated as a major scandal today, but unfortunately then it was just another statistic among the countless lives lost already in the Great War and those still to die before peace came in 1918. With no radio, television, internet or social media in those days, it was far easier for the government to conceal bad news. There was postal and press censorship, designed to prevent contact with the enemy and to ensure that the conflict was presented to the public in a pro-Allied light. This censorship is illustrated by using the usual research routes. To see how news was reported at the time of an event, one can search newspaper archives such as the Times Digital Archive (log in with your library card number). However, searching for Silvertown explosion or Silvertown disaster brings no results. Neither does a similar search in The Illustrated London News. Even searching Gale News Vault for Silvertown 1917 only brings up an article in The Times from 1925, appealing for funds to rebuild St. Barnabas Church which had been destroyed in the explosion. A fuller report is given on Monday 22 February (on page 9) but again it refers to ‘The explosion near London’ and does not state the actual location or name of the factory concerned. There are no illustrations. It is interesting to note though, that while there is some ‘positive spin’ in the reporting the paper does make some critical comments about the slack enforcement of safety regulations by the authorities. The dearth of contemporary reports, while interesting from an historical point of view, means that we have to look elsewhere for more information. One book that contains quite a bit about the explosion is London’s Disasters: from Boudicca to the banking crisis, by John Withington (pictured above), available from your library. As 2016 draws to a close, we have probably all read our fill of celebrity obituaries. Many of us will also have seen other, more local or personal losses. While the argument rages on about whether this was indeed an unusual year or just appeared to be so, we’re likely to have found ourselves thinking or wondering about some of the people whose deaths have been reported in the news – people we’ve heard of, people we’ve not (but feel we should have), and people whose summarised lives turn out to be a whole lot more interesting and varied than we originally thought. We recently saw the death of former Cuban leader and revolutionary Fidel Castro. He was seen in death – as he was in life – as someone to celebrate and support, but also someone to despise and oppose, a great leader or a terrible dictator. We can look at how his death was met in newspaper stories, obituaries and images from around the UK (eg: through NewsBank) and around the world (eg: through Library Press Display which includes some newspapers from Florida). However, your delve into newspaper articles does not have to end there. Why not look back further? Newsbank goes back a good 30 years for a start. But go back further still and you will find yet more. Have a look in The Times Digital Archive; you will find it interesting to see how events in Castro’s life unfolded eg: 1956 saw a failed revolt (the final revolution came in 1958/59). Ironically, considering some of the celebrations recently in Florida we see that on 12 November 1958 people were caught attempting to send Fidel Castro arms to support the uprising. All this can be found via our Online Resources: Newspapers section accessible in any Westminster Library and from home with a Westminster Library card. The newspapers are a great way to get started, but – depending on the person’s field of activity and nationality – take a look too at the Quick Reference, Art & Design (especially Oxford Art), Biography or Music & Performing Arts (especially Oxford Music Online) sections. You never know what you might find! 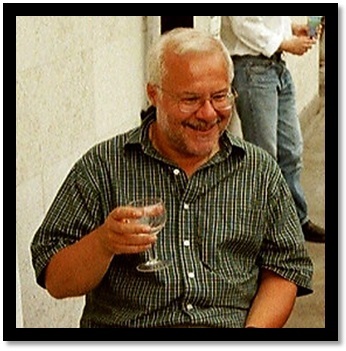 Today I write to remember and celebrate a treasured Westminster Libraries colleague, David Oldman, who died earlier this year while walking in southern Spain. Customers at Marylebone Library will doubtless have their own memories of David, and many of you wrote in the Book of Condolence that has been held there. 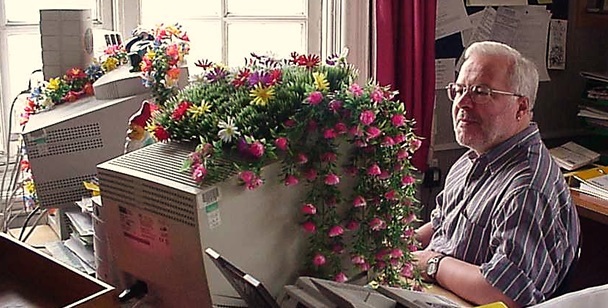 Users of Westminster Reference Library, especially the former customers of IfB (Information for Business), will remember David’s expert information seeking as well as his incisive sense of humour. Many others across the whole City of Westminster will have met him during his tireless sharing of skills and promotion of the library service on the 24/7 Library Roadshow, his Adventures on the Internet IT training sessions, as well as the exhibitions and talks he gave on the subjects of photography and his beloved walks. His enthusiastic stints on library stalls at various community events were symbolic of his constant championing of the customer point of view. And of course David wrote and illustrated many funny and erudite posts here on Books & the City (click to read them all), setting the tone for the blog in its early days (as well as providing the header image and our social media avatars) and always managing to spark an interest in what were often – on the surface at least – quite dry topics. Goodbye, David, and thanks. You are missed beyond words.